● Taylor Gifts has an ongoing promo for customers who sign up for its mailing list. You can also get access to email exclusive discounts which can be up to 90%. 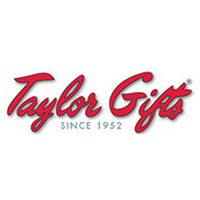 ● Taylor Gifts usually offers limited-time discounts on home items such as TV shelves, corn cob butterer, and more which can be up to 60%. ● Always check Taylor Gift’s Clearance page because sales can be up to 90% there. The Taylor Gifts website is home to one of the most extensive “As Seen on TV” collections of products anywhere, and gives customers the opportunity to purchase these novelty gifts, these limited edition pieces of merchandise, and these funny gag gifts even after they have disappeared from the airways. Visitors to this website are going to be able to sort through one of the most extensive collections of gifts, novelties, and home decor options, many of which are limited in nature. All merchandise ships to all corners of the world at inexpensive rates, and customers will always have the opportunity to send merchandise back within 90 days if they aren't satisfied with their purchase.